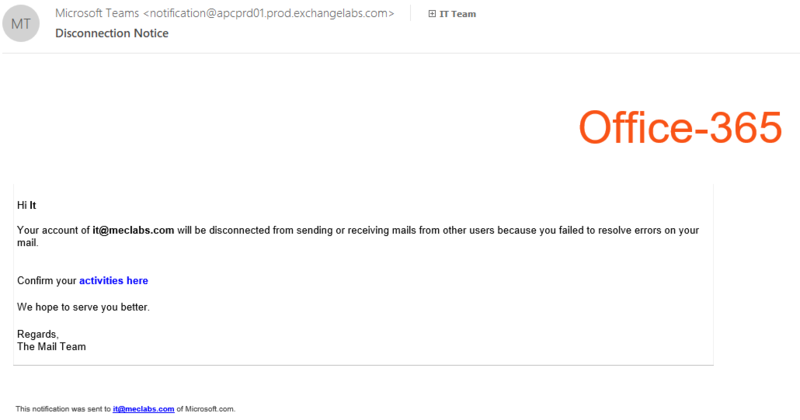 Like most companies, we get Phishing emails all the time. Our Senior Systems Manager, Steve Beger, recently sent a note to all employees updating them on tactics to watch out for and he included a line that caught our attention. “These folks must have passed their Email Messaging course.” And that was the nexus for this article. 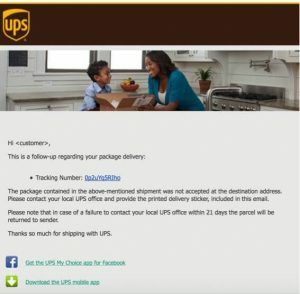 Let’s look at these phishing emails through the lens of one lesson taught in the course — relevance, importance and urgency. 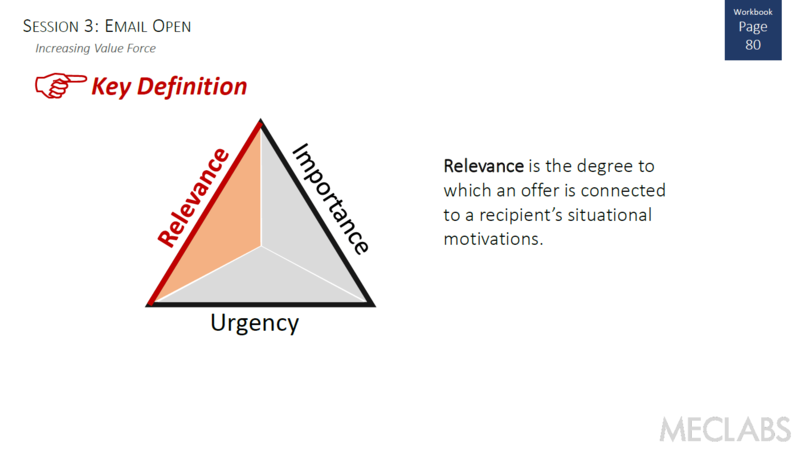 Relevant is the degree to which an offer is connected to the recipient’s situational motivations. Much like marketers, there are some phishers who just batch and blast, and some who truly target their emails. Unlike spam emails, which can seem ridiculous to all but the least skeptical among us (see James Veitch explain what happens when you reply to a spam email that says “Hello James Veitch, I have an interesting business proposal I want to share with you, Solomon.”), phishing emails are more plausible specifically because they are more relevant. For the batch-and-blast crew, they send out an email about your Wells Fargo account, for example. Now, you might not have a Wells Fargo account, but a lot of people do. 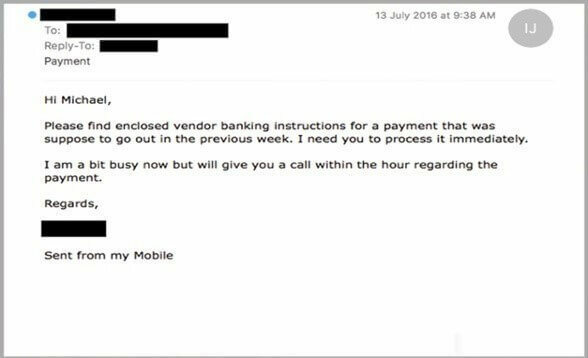 The scammers don’t care about what email doesn’t hit its mark or their sender reputation, but you can learn from their focus on relevance. Some scammers get much more personalized. They research you and the company, and will, for example, send a personal-seeming note from your CEO asking for gift cards or a money transfer. That is extremely relevant. “The most effective type of spear-phishing attack utilizes research to better understand their target beforehand, allowing the scammer to exploit previous relationships,” said Jonathon Yates, Market Intelligence and Optimization Manager, MECLABS Institute (MECLABS is the parent research organization of MarketingSherpa). Of course, marketers should be researching their customers as well, but to serve them, not exploit them. This research allows scammers to utilize an exclusive (seeming) message. “Exclusivity helps overcome people’s natural suspicion,” Yates said. It’s not just the relevance of the “offer,” it’s also the fact that the email can come in the form of a personal appeal. “People have a preference to communicate with real people,” Yates says. Email is, after all, a communication mechanism. Don’t just view it as a marketing channel. Unlike, say, a banner ad or a TV commercial, people use email every day to communicate with real people, not just to consume commercial messages. “Try to appeal to someone from a known contact or at least a genuine, named contact. Addressing prospects from a named email address can help make a message seem more genuine [than just a general branded ‘from’ field],” advised Yates. Importance is the degree to which an offer is essential to a recipient’s livelihood. Phishing emails always have a good “why” they want you to act. And this is something marketers can learn from because it’s never about their own goals (i.e., stealing your money), it’s firmly about your goals. In addition, that “why” often comes in the form of an appeal from authority to make the recipient feel like the email is more important. “As a marketer, this should be done sparingly and only in an honest way, but it can be effective around getting people’s attention in regard to account or membership renewals,” Yates said. Unlike with a phishing email sent by scammers, most recipients won’t assume that your company’s CEO is actually sending them a personal email. However, unlike an email that looks like a traditional visual postcard, they may conclude that the message was important enough for the CEO to at least review it and allow their name to be used. 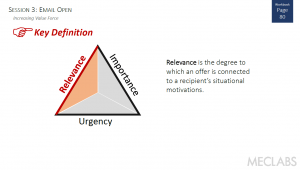 Urgency is the degree of immediacy associated with an offer imposed by either the recipient’s situation or the nature of the offer itself. People are busy. Unless you give them an understanding of why acting soon is in their best interest, they often won’t. And the longer it takes them to act, the less likely they will eventually act on your conversion goal. “Setting a time limit that implies either the loss of an exclusive benefit/incentive or, conversely, the imposition of a negative consequence, can drive increased engagement — and is used by scammers to bypass some of our natural suspicion,” Yates said. “Marketers can use a similar technique to increase open rates, click through rates and ultimately conversions. Unlike scammers though, the importance is to be honest and make sure that you carry through the genuine urgency message from subject line to email to landing page,” he advised. 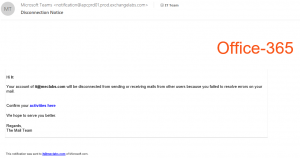 Of course, the biggest lesson we can take from phishing email scammers is what not to do. They have a massive blind spot of self-interest, which causes them to cross lines of morality that society holds dear. But let’s not kid ourselves, marketers. We have our own self-interest as well. And while not as morally deficient, it can also blind us. For example, after you read this article, it would be in my best interest if you click on the first link in the Related Resources section at the bottom of this article and take our email messaging course. However, I haven’t made this entire article a sales pitch for that course (I hope). I tried to lead with value, giving you ideas to improve your job performance while maybe avoiding scams to boot. And that can sometimes be our biggest challenge of all. For a legitimate business, email is a permission-based medium. You can often squeeze out a few more conversions from an email in the short term by burning the customer. But when you lead with value — when you put the customers’ needs before your own — then you have earned that permission. You start to build a trusting relationship with the customer. And ultimately, you create a sustainable email marketing practice within your business that you can be proud to call your own. Ask MarketingSherpa: Mapping the prospect conclusion funnel [includes free PDF example] Marketing 101: What are decoy marketing and price anchoring?